ITA is the pioneer in evolving and promoting institutionalized and negotiated settlement by the process of Collective Bargaining in the Tea Industry. ITA represents the Employers’ Associations in industry wise negotiations on revision of Wages and various other Terms & Conditions of service of the Employees in the Tea Industry. Representing Members in Conciliation parleys with Trade Unions for redressal of grievances. Fostering conflict resolutions covering law & order problems, strikes, lock-outs etc in member gardens. Advising Members on statutory compliance of labour and commercial legislations. Interventions on Disciplinary issues, Productivity, HRD and Training programmes. Liaising with Auction Committees and the Licensing Authority to promote and protect sellers’ interests. Initiated the first-ever Domestic Tea Promotion Campaigns. Liaising and representing to Statutory Authorities towards promoting quality standards of Tea in India. Evolving strategies and fostering co-operation with Government of India and Tea Board to promote Indian tea exports. Monitoring promotional activities in key markets. Mounting delegations to select markets -- like USA, Russia, Iran, Pakistan, Egypt, UAE. Liaising with statutory bodies like DGCI&S, DGFT, ECGC, Customs, RBI, etc. Liaising with relevant agencies and the Government to ensure timely and adequate movement of vital inputs to tea gardens. Liaising with Railways, CONCOR, Shipping Lines, Port Authorities and Government to ensure smooth flow of goods in India and abroad. Coordinating with the Government to create a rational and conducive tax environment for the tea industry. Providing advice on tax matters to members. Closely monitoring the Central as well as State Budgets. Taking up issues like Excise Duty, Customs Duty, Service Tax, Foreign Trade Policy, Income-Tax with the Central Government. Regularly interacting on issues like Sales Tax, Agricultural Income-tax, Salami on Land, Cess on Green Leaf, etc. with the respective State Governments. Liaising with financial institutions/banks to ensure adequate financing for the tea industry. Formulating and advising relevant agencies on credit structures and needs of the industry. Liaising with NABARD and Tea Board for ploughing back of excess fund to the industry. Developing and maintaining industry's data bank and provides an effective information system. Providing a forum for discussion on technical issues affecting the industry such as Electricity, Energy Consumption, Packaging, Quality Management, etc. A significant contribution of the ITA has been in the field of research and development. Tea research took its first steps in the nurseries of the scientific department of the ITA, which over decades culminated in the establishment of the Tocklai Tea Research Station in Assam in 1911. Every modern field and factory process in use in tea today had its beginnings in Tocklai. The result of these research efforts is best illustrated by the phenomenal increase in the yield of tea – from 424 kg per hectare in 1900 to over 1500 kg in 1980. Undertaking family welfare programmes; social and community development programmes in the areas of welfare, education, health, sports, agricultural extension work, small tea grower development and training programmes, etc. in tea growing areas. Providing a forum for creation of a number of Agricultural Projects at different locations to extend help to agricultural farmers on multi-cropping and higher yield. (Highlights : Young Child Survival Programme • Child Protection and Nutrition Programme • Save Motherhood Programme • CHAI Assam Project • Sarba Siksha Abhijan • Gramin Krishi Unnayan Prakalpa - to name a few. ITA Centre for Performing Arts in Guwahati which has been constructed and dedicated to the people of Assam in 2004 with the generous contribution from members is the first of its kind in N.E. India comprises a 1000 seater Air-conditioned acoustically engineered Auditorium with State of the art including additional facilities of an exhibition Gallery and a 200 seater Seminar Room. 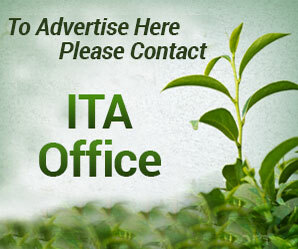 ITA under the aegis of Consultative Committee of Plantation Associations (CCPA), organizes Conventions/Conferences towards establishing India's image as a stable international supplier of a wide spectrum of teas at affordable prices. So far eight such conventions at the national/international level have been organized since 1974. ITA is also organizing the India Tea Trade Dinner around March/April involving all Indian sellers and domestic buyers. Besides, the above Conferences, the Association also organizes Workshops/Seminars on various current issues involving BIS, IIPM, Tea Board and Government Bodies.